The primary HF position has an Icom 7600, Tokyo HyPower Solid State HL-1.5KFX Linear Amplifier, and LDG AT1000Pro2 antenna tuner. 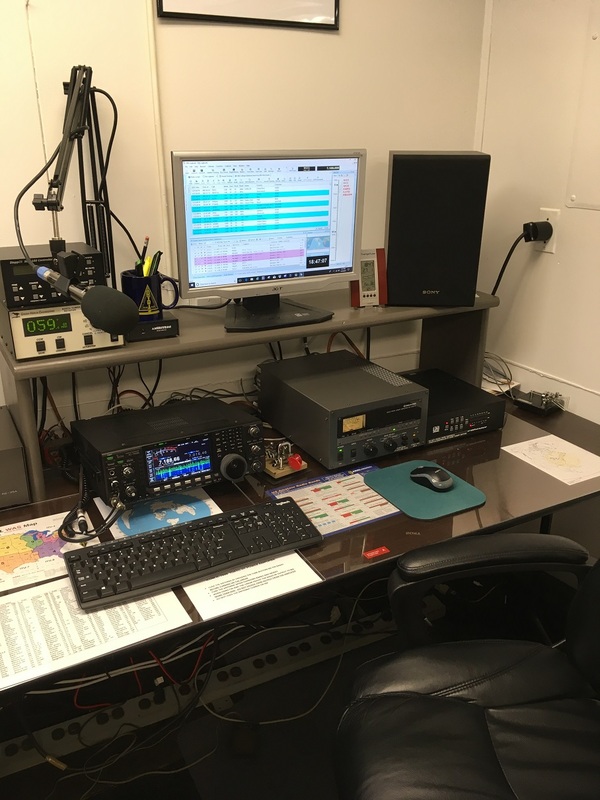 The secondary HF position is a full Icom station using an IC-756 Pro 2 with matching IC-2KL 500 watt linear amplifier and IC-AT500 antenna tuner. A third operating position is primarily dedicated to VHF, UHF, and C4FM digital but can also operate HF using a Kenwood TS-2000. A lounge/conference area and a well-equipped workshop complete the facility.